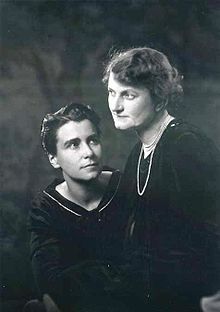 Dorothy Arzner was born today, January 3, in 1897. She was an American film director whose career in feature films spanned from the silent era of the late 1920s into the early 1940s. 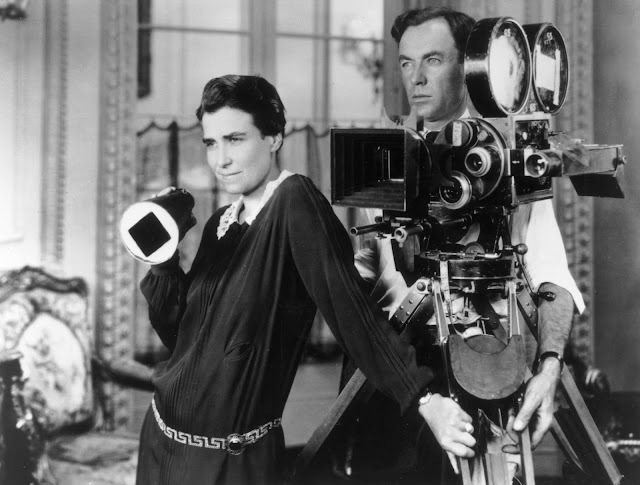 In fact, Dorothy Arzner was the only female director working in the 1930s in the United States. She was one of the very few women who established a name for herself as a director in the American film industry during this time. She directed about 20 films over the course or her career and later in life taught filmmaking, including student Francis Ford Coppola at UCLA. She remains the most prolific female film director ever. Born in San Francisco, California, Dorothy grew up in Los Angeles, where her father, Louis Arzner, owned a restaurant frequented by many Hollywood celebrities. After finishing high school, she enrolled at the University of Southern California with hopes of becoming a doctor. She even went as far as spending two years as a pre-med student at the University of Southern California. During World War I, she left school to work overseas in the ambulance corps. By the time the war ended, she decided against returning to her medical studies and, after a visit to a movie studio, decided to pursue a career as a film director. "I remember making the observation, 'if one was going to be in the movie business, one should be a director because he was the one who told everyone else what to do,'" she said. Through connections Arzner got a job as a stenographer in 1919 at the studio, which later became Paramount Pictures. She moved on to be a script writer, was promoted to film editor within 6 months and quickly mastered the job. Her first assignment as an editor was in 1922 for the renowned classic Blood and Sand, starring Rudolph Valentino. Arzner achieved a great deal of clout, along with her work on over 50 other films at Paramount. She eventually threatened to move to rival Columbia Studios unless given a directorial position. Paramount conceded in 1927, putting her in charge of the film Fashions for Women, which became a financial success. At Paramount, Arzner directed Clara Bow's first talkie, The Wild Party (1929). To allow Bow to move freely on the set, Arzner had technicians rig a microphone onto a fishing rod, essentially creating the first boom mike. She did not, however, take out a patent. One year later, one was filed for a very similar sound-recording device by Edmund H Hansen, a sound engineer at the Fox Film Corporation. Although not the first to patent the boom microphone, Arzner is still credited with its invention. The Wild Party was a success with critics and was the third top-grossing film of 1929. The film, set in a women's college, introduced some of the apparent lesbian undertones and themes often cited in Arzner's work. Her films of the following 3 years were strong examples of Hollywood before the Production Code. These films featured aggressive, free-spirited and independent women. She left Paramount in 1932 to begin work as an independent director for several of the studios. The films she directed during this period are her best known, launching the careers of many actresses, including Katharine Hepburn, Rosalind Russell, and Lucille Ball. In 1936, Arzner became the first woman to join the Directors Guild of America. She was also the first woman to direct a sound film. Arzner had been linked romantically with a number of actresses, including Alla Nazimova and Billie Burke (Glinda, the Good Witch from The Wizard of Oz), but lived for the last 40 years of her life with her companion, choreographer Marion Morgan. According to Smithsonian.com, Arzner never spoke about her sexual orientation. . . “Arzner was often depicted in the popular press as a woman for whom her career came first,” writes Judith Mayne in her book Directed by Dorothy Arzner. As a woman in a male dominated industry, Arzner challenged conventions and still succeeded in Hollywood’s studio system. Arzner died, aged 82 in 1979, in La Quinta, California. For her achievements in the field of motion pictures, Arzner was awarded a star on the Hollywood Walk of Fame at 1500 Vine Street. In 1972 the First International Festival of Women's Films honored her by screening The Wild Party and her oeuvre was given a full retrospective at the Second Festival in 1976. In 1975 the Director's Guild of America honored her with "A Tribute to Dorothy Arzner." During the tribute, a telegram from Katharine Hepburn was read: "Isn't it wonderful that you've had such a great career, when you had no right to have a career at all?"